From $75-$90 A,B,C cleans. Over 10 years Experience. SPECIAL 3bdrms/L/D/Hall From $120 Portable & $140 Truck Mount Faster Dry Time.HOT STEAM CLEAN. Monday-Saturday. Affordable & Professional Hot Steam Ring Today for free Estimation! MY GUARANTEE IS TOP QUALITY WORKS MAN SHIP OR MONEY BACK ! ABC Carpet Cleaning Auckland Has a Powerful Truck Mounted Hot Steam cleaning machine with much faster dry times, or a Portable hot water Extraction to stretch your pennies further. We Insure quality for money. Using citrus based products, making it very safe for Your family. We specialize in apartments, we also clean residential houses and commercial premises. Need an upholstery cleaning Auckland specialist? 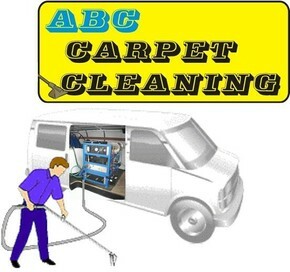 ABC Carpet Cleaning Auckland has been running since 2007. With over 7 years of Business And over 10 years in the Industry, i have become a highly skilled carpet & Upholstery Cleaning specialist here in Auckland. We use the hot water extraction method, or a Steam Cleaning method. A pre-Spray is put on the Carpet first, then rinsed out with a steam cleaning method. Your carpets will be left slightly damp, for half a day, so the drying process is quite quick!!. Steam Cleaning: Also known as the hot water extraction method, this is generally thought of as the best Carpet Cleaning method and will prolong the life of your commercial or domestic carpet. The process involves vacuuming, followed by an Eco-friendly pre spray product, which bonds with dirt and debris. Then the carpets are rinsed, from an application of hot water, by a high pressure jet spray, this will remove most of the products from the carpets, leaving minimal residue using a powerful vacuum system to extract the debris at the same time. I also can clean all types of furniture including sofas, lazy boy chairs dining chairs ,mattresses and more. I have carpet protection, upholstery protection as well. NOTE: ALL PRICES EXCLUDE G.S.T. Very professional and efficient service. will use again. Excellent! Friendly, quick to set up equipment, professional and quality work for great price! Would certainly call again. Thank you! Awesome, efficient and amazing price! I recommend them. Excellent. Thank you. Karl cleaned our carpet & showed a real passion for doing the job well. I was impressed at his knowledge & appreciated his desire to do an excellent job.We will definitely use him again & have recommended him to friends when we have had an opportunity to do so. Hi Kyle, I recommend Kyle for us as 'He is a very organised person he uses great products and gave us a very reasonable price that no other cleaning service can give you and is always on time I very recommend him and hope that one of you can give Kyle a try if you have dirt carpet/couches and need cleaning for a reasonable price, Cheers Zahra. Thanks so much for cleaning our carpet and lounge suite today ... its looking great. Got Carl to clean my carpets in my apartment, in MISSION BAY, Very noticeable stains were removed and would HIGHLY RECOMMEND Carl's Carpet Cleaning for any job. AAAAA+++++. Colin Visser. great service, very friendly and a good price thanks!! Carl was referred to us by an friend. Since then he has done 5-6 jobs for us, each time all of our carpets and all of our couches. Each time Carl demonstrated technical expertise and great customer service. I have referred Carl to several others because he knows his stuff, always gets it clean and is keen to give good service. Carl is also great value considering his hard work and expertise. If you try Carl for your carpet cleaning you will definitely get him back for the next one!